There's a new business revolution brewing—& it’s happening where we shop. 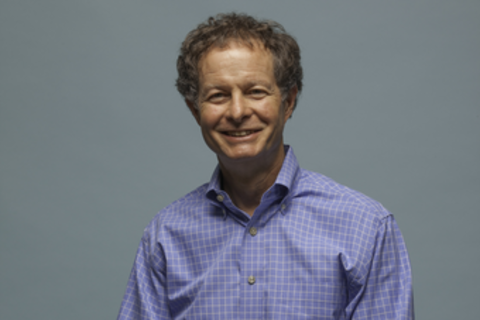 John Mackey, co-CEO & co-founder of Whole Foods Market & a pioneer of the Conscious Capitalism movement, will go over points from his new book & discuss what makes free-enterprise capitalism what it has been: the most powerful creative system of social cooperation & human progress ever conceived. He argues that now is the time to demonstrate to a skeptical world the truth, beauty, goodness & heroism of capitalism, rather than continuing to harp on the tired maxims of self-interest and profit maximization.This new narrative is a bold new blueprint for capitalism where business is grounded in ethical consciousness. Mackey will share how Whole Foods Market’s higher purpose is constantly evolving for the good of the business and for society as a whole, & how operating this way can create positive impacts for all stakeholders. While devoting his entire career to providing shoppers with high quality natural and organic foods, Mackey has also focused on building a more conscious way of doing business. He led the company through 19 acquisitions and took the company public in 1992. The company generates the best profit margins of any U.S. supermarket operator and plans to grow to 1,000 stores. For 15 consecutive years, FORTUNE magazine has included Whole Foods Market on its “100 Best Companies to Work For” list. The company was named “America’s Healthiest Grocery Store” by Health Magazine, one of the nation’s “Top 25 Green Energy Leaders” by Scientific American one of the “World’s Most Ethical Companies” by the Ethisphere Institute. Mackey has been the visionary for many successful programs at the core of Whole Foods Market. He created the Whole Planet Foundation in 2005 to help end poverty in developing nations. The foundation has helped more than 200,000 poor entrepreneurs in 50 countries. Thanks to Mackey, Whole Foods Market was the first national grocer to set and implement standards for humane farm animal treatment for the meat products it sells. In 2007, he launched the Local Producer Loan Program to help local farmers and food producers expand their businesses and committed $10 million per year to help grow their businesses through low-interest loans. Most recently, Mackey has focused on returning to the company’s roots around healthy eating and lifestyle choices. A staunch advocate of healthy eating education, he laid the foundation for health and wellness programs for team members and customers. A strong believer in free market principles, Mackey co-founded the Conscious Capitalism Movement (http://consciouscapitalism.org/) to challenge business leaders to rethink why their organizations exist and to acknowledge their roles in the interdependent global marketplace. This new business paradigm holds the potential for enhancing corporate performance while also advancing the quality of life for billions of people. He recently co-authored a book entitled Conscious Capitalism, Liberating the Heroic Spirit of Business (Harvard Business Review Press 2013) to boldly defend and re-imagine capitalism while encouraging others to implement this way of doing business that is grounded in ethical consciousness. Out of his respect for equity between Team Members, Mackey implemented a salary cap for all executives. He cut his own salary to $1 annually in 2006, and forgoes stock options and bonuses. He continues to work for Whole Foods Market out of a passion to see the business realize the potential for deeper purpose, for the joy of leading a great company, and to answer the call to service he feels in his heart.